P.U.L.S.A.R. project is an innovative development of the “Civil Peace Corps Project” in Kosovo – supported by Naples Municipality (Italy) – lasted from 2011 to 2013 and followed by PRO.ME.T.E.O. project scheduled from 2016 to 2017. The acronym is for “Project for Understanding and Linkages to Serbs and Albanians Reconcile”, covering the period from the 2014 implementation to the 2015 development, issued by Peace Workers Campania, IPRI – CPC NET (Italian Peace Research Institute – Civil Peace Corps Network) and RESeT (Research on Economy, Society and Territory) with the support of the Waldensian Church. The aim of the project is to promote activities, monitor conflicts and engage public to facilitate dialogue between and across the major local communities, Albanians and Serbs, in Kosovo, heading a feasible reconciliation in the post-1999-war Prishtina and Mitrovica. The ground of the project is based on the role of “memory”, in terms of social and collective memory, able to shape a common vision and to achieve a shared profile inside the community, and of social and cultural identity, meaningful to pave the base for awareness and ownership and to foster common grounds inside the respective social groups. The Organization for Security and Cooperation in Europe (OSCE) estimates the Northern sector of Mitrovica (North Mitrovica or, for Serbs, Kosovska Mitrovica) has around 30,000 inhabitants; around 23,000 are Serbs, of whom around 6,000 are internally displaced people (IDPs). The remaining 7,000 are Albanians (5,000), Bosniaks, Roma, Ashkali and Gorani. Albanians live primarily in three locations: the “Three Towers” on the north bank of Ibar river, Kodra Minatorëve/Mikronaselije (Miner’s Hill) and Bosniak Mahala (Bosniak Quarter). All these locations had the KFOR protection throughout the recent years. The number of Bosniaks has declined significantly from the pre-conflict number of 6,000 to around 1,000. The pre-conflict Roma population (around 6.000) in South Mitrovica has been displaced to the North and in Central Serbia. The March 17th, 2004, violence against Serbian communities and enclaves (pogrom) added to the IDP strain with additional 1,000 Serbs and 250 Roma fleeing to North Mitrovica, after the eruption of violence by Albanian extremists against Serbian people. UNMIK (United Nations Interim Administration Mission in Kosovo) efforts to encourage significant returns generally have failed, because the insecurity of the situation on the ground, the vacuum in confidence building measures and such perceived gap in authority, confidence, credibility by the same international authorities. Estimates of the population of South Mitrovica range around 75,000, according to various esteems; apart from the already mentioned minorities, all of them are Albanians (70,000). A significant part of these are coming from rural parts of Kosovo. 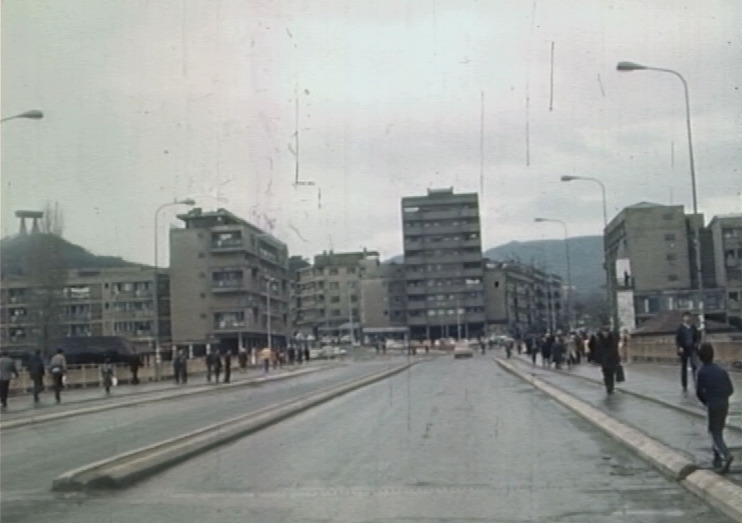 In this frame, Mitrovica does not currently have the physical infrastructure and the urbanizing topography to split into two separate cities in effect. Ordinary topography and main infrastructures are placed to naturally constitute a united city. Cultural and sport facilities are mostly in the South, apart from a library and a cultural centre in the North. The only regional hospital is located in the North, while there is manly a generally equipped outpatient clinic in the South. In this scenario, the main locations for outdoor activities are the ethnically mixed areas, especially of Three Towers, Kodra Minatorëve and Bosniak Mahala in the North (where data has been collected and social survey and conflict monitor conducted) and the whole area of Main Bridge (where monitoring and intervening to calm tense situation and moderate violent escalation has been driven, especially during the clashes after the barricade removal on June 18th, 2014) while indoor activities are social or common spaces (both in the South and in the North) for the purposes of trainings and planning and also the Ethnographic Museum in Belgrade, the National and University Library in Prishtina and the Municipal Library Vuk Karadzic in Mitrovica for the purposes of the action-research.